A few months ago Pharmaplus started carrying a small line of cosmetics from a brand that's new for me called Pandora's. The line only had 6 polishes available (along with a selection of lip glosses) and they were mainly in jewel tones. The polish I decided to pick up is called Vanilla Bean and is described on their site as a "bronze-brown that is perfect for fall" and dries matte. 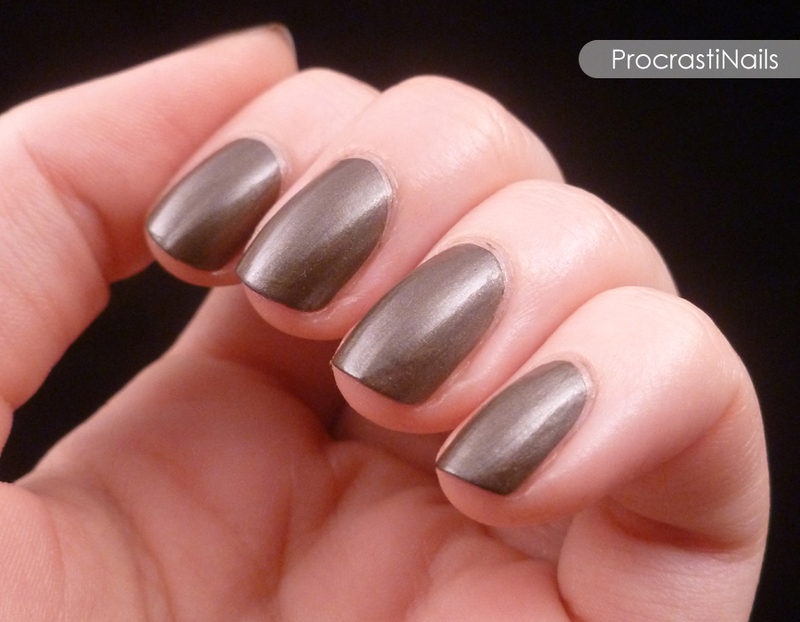 It's not a very inspired description...And rather than saying this is a matte, I'd say it's a more of a satin finish. That being said, this polish had really great coverage (pictured is two coats and it was almost opaque with one) and is reasonably priced at $4.99 (CAN) a bottle. All PANDORA'S® Nail Polishes are two coat coverage, high shine, and 5-free (No DPB, No Formaldehyde, No Formaldehyde Resin, No Camphor, No Toulene). 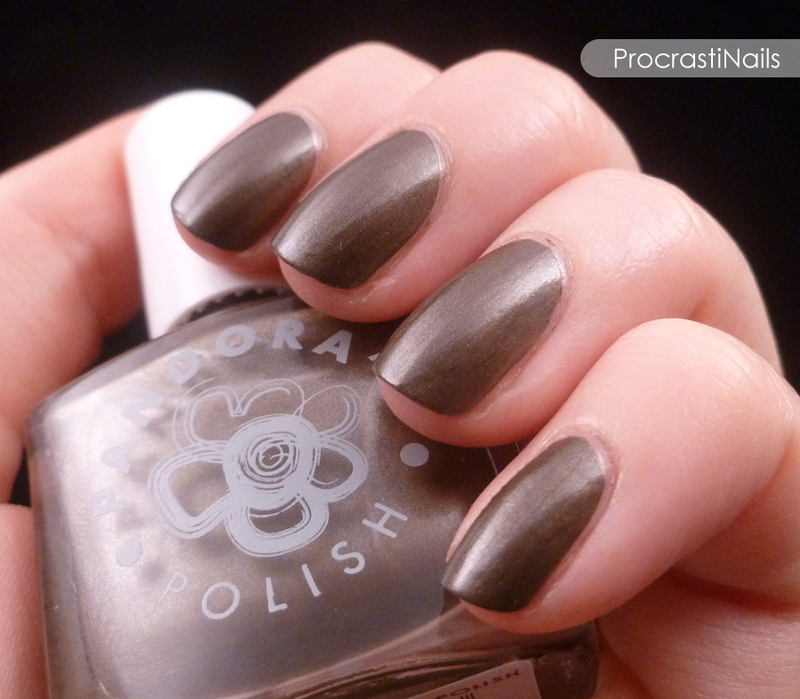 Overall I was pretty happy with this polish, though I would describe it as something like a cool coffee brown metallic. If this is what they consider a matte, I'm curious about how glossy their other polishes are!